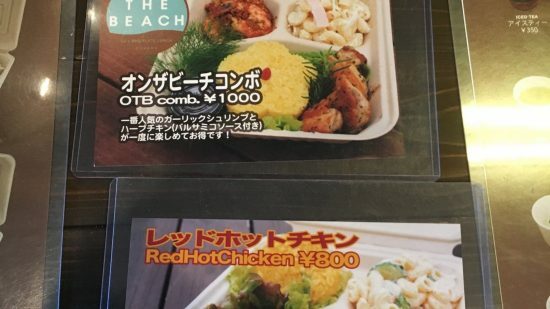 On the Beach is not actually on the beach but their BBQ sets are all wrapped up to go so you can certainly take it to the beach, or to the boardwalk, or back to your room, or anywhere else you would like to enjoy a fresh and delicious BBQed lunch set. 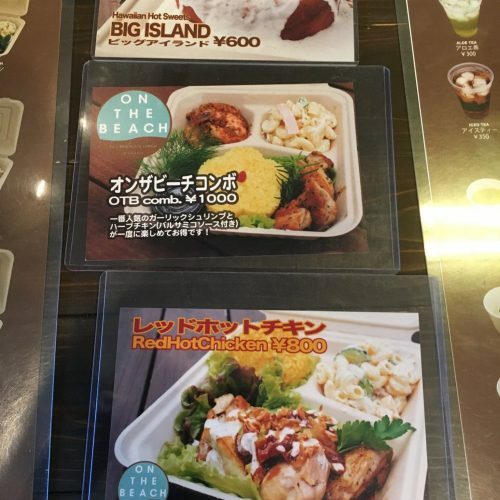 They have a huge variety of meat and fish dishes to choose from. 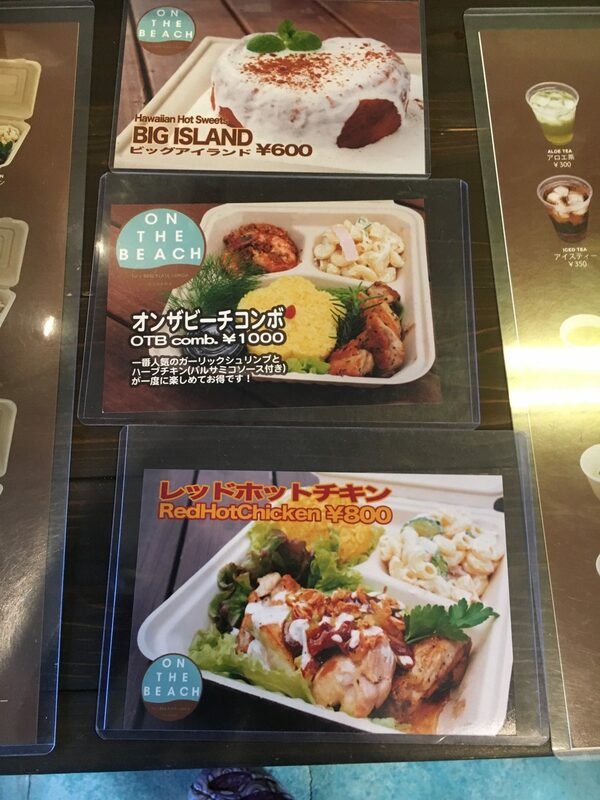 I’m a pescatarian so I usually choose the garlic shrimp set (¥1200) or the sword fish (¥900) with balsamic0 sauce but they have pork and chicken sets too. 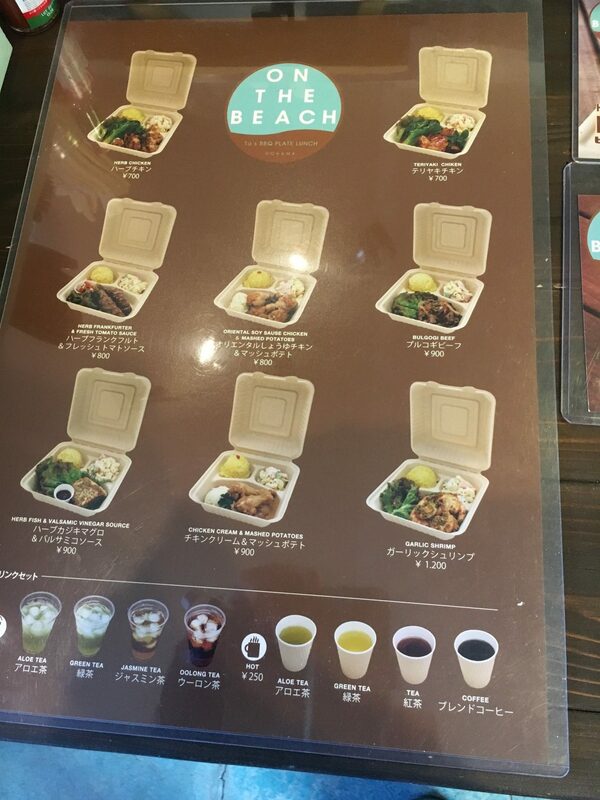 You can also order extra fish and meat if you are really hungry. 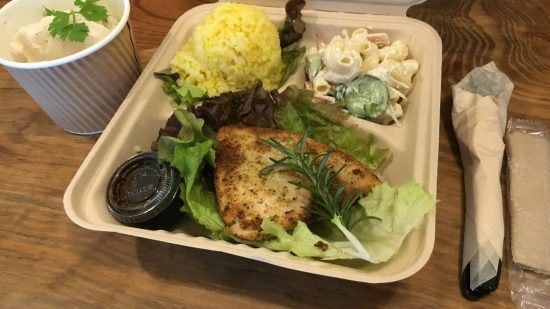 If you are a vegetarian though, your options limited to mashed potatoes (ask them to hold the gravy) and dessert. 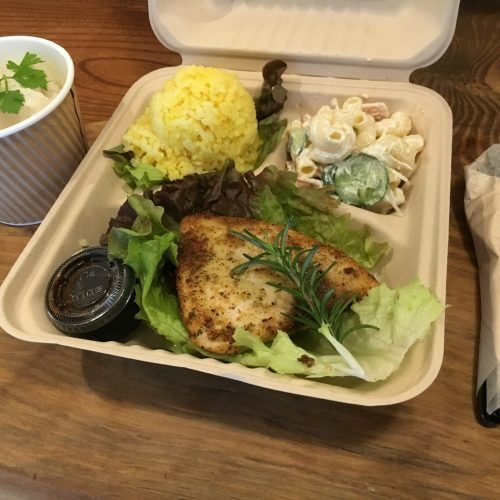 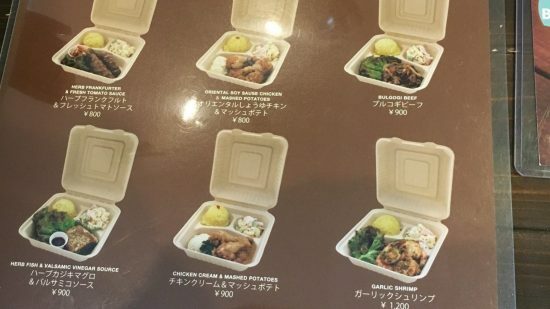 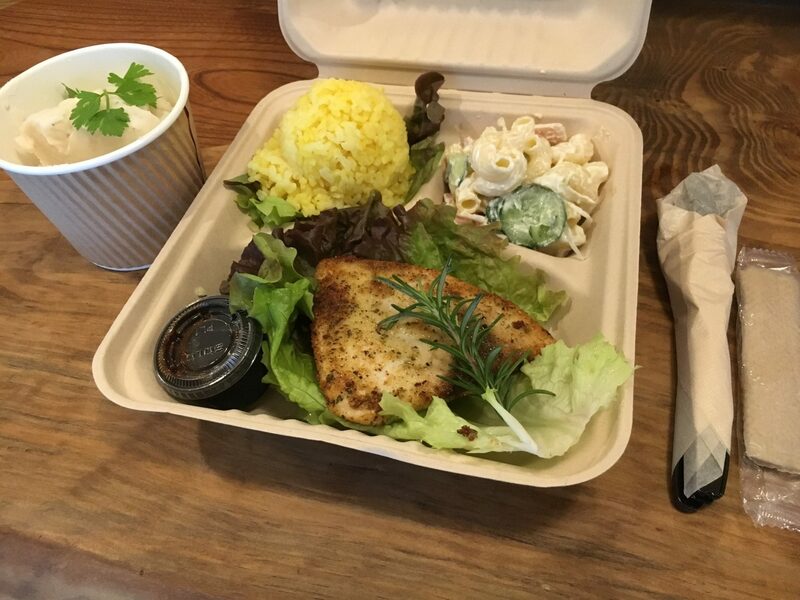 If you have hungry little one with you, they now have a kids meal for only ¥500. 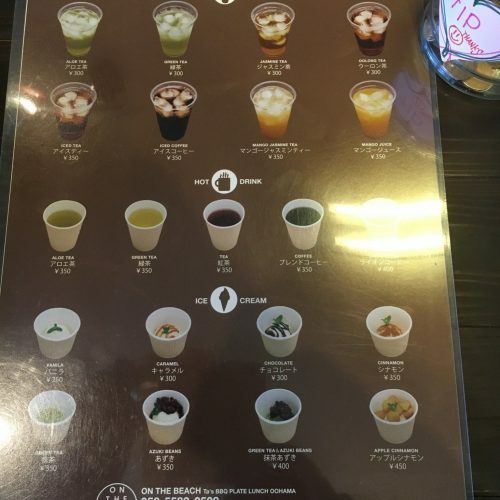 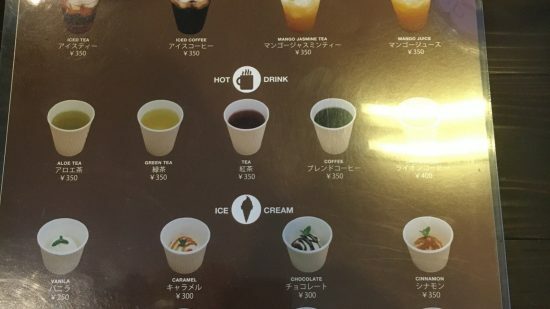 They also have a good selection of iced and hot teas for ¥300, a good variety of juices and soda, beer, and they even have bottles of wine too! 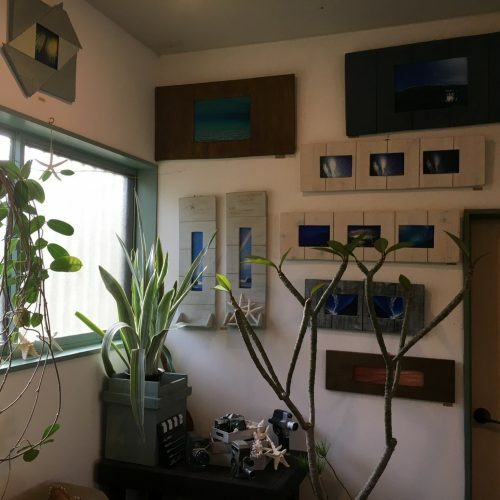 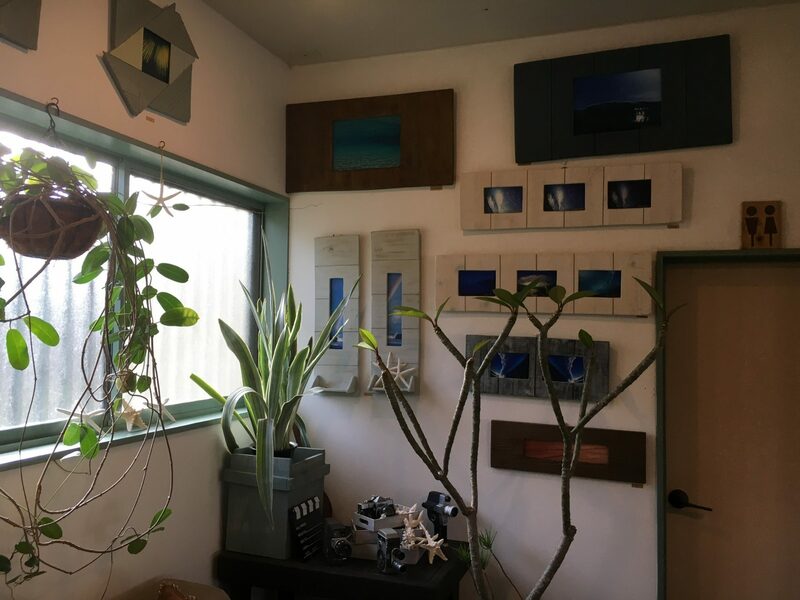 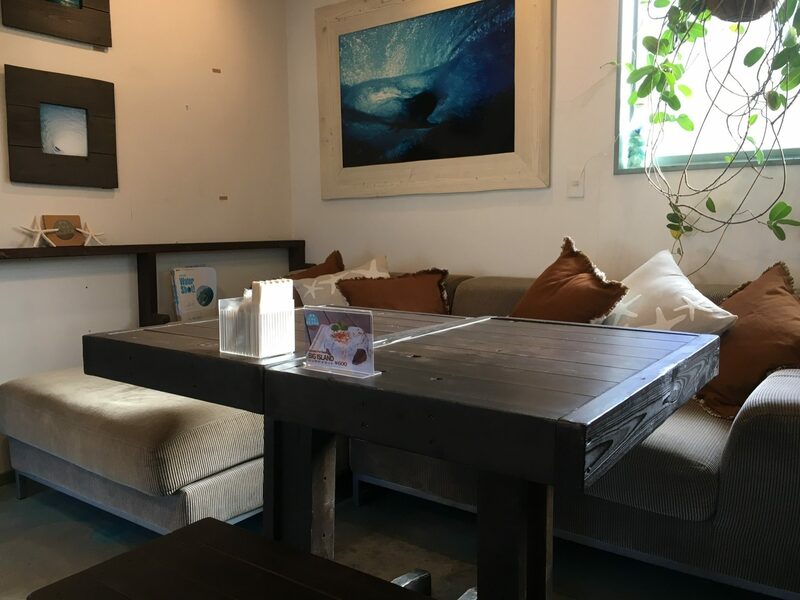 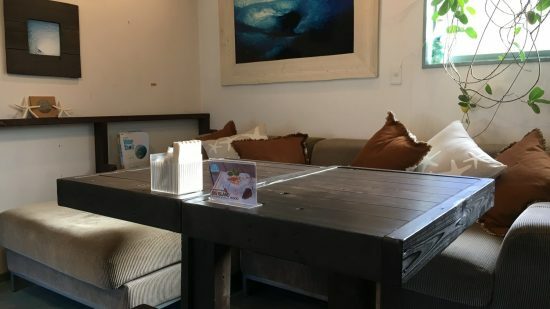 The owner, Takahiro Tsuchiya, is a well-known surf photographer and has tons of his worked framed and on display so the shop feels a bit like a gallery. 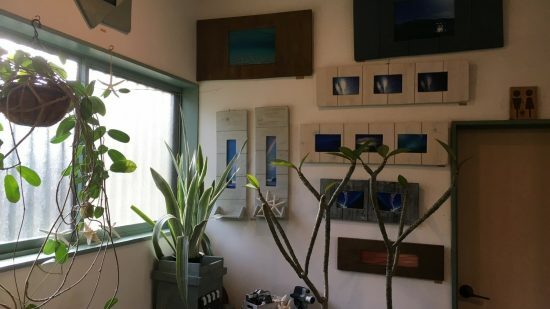 I guess it is a photo gallery because you can purchase any of his amazing photos, or just enjoy viewing them while waiting for your fish to fry. 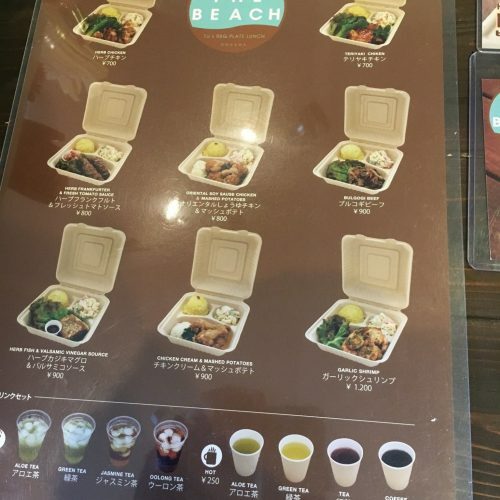 On the Beach is located near the main Kisami intersection, near the Kisami Bus Stops, Family Mart, and Lawsons convenience stores and is less than 5 minutes walk from Guesthouse tabi-tabi. 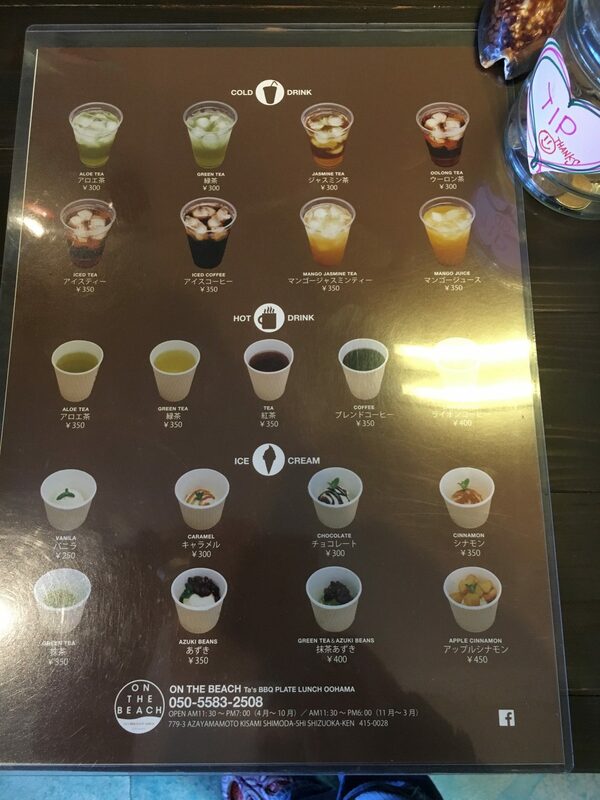 Click on the pics for a bigger better version and more menu items to consider! 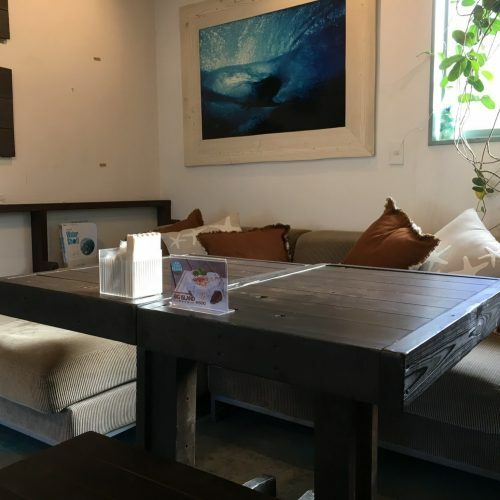 Previous post: We’ve got rental bikes!